Organisers of the 28th Fiji Bitter Nawaka Sevens received a $2500 from co-sponsors Chestnut Investment in Nadi yesterday. Chestnut Investment director Melvin Ganesh was grateful to assist. “We’re moving our operations to Nawaka and we aim to employ the people of Nawaka and sponsor their tournament,” Ganesh said. Tournament organiser chairman Mataiasi Nabau thanked the sponsors. “We are expecting a good crowd to turn up at the biggest sevens tournament to be held in this side of the country,” Nabau said. 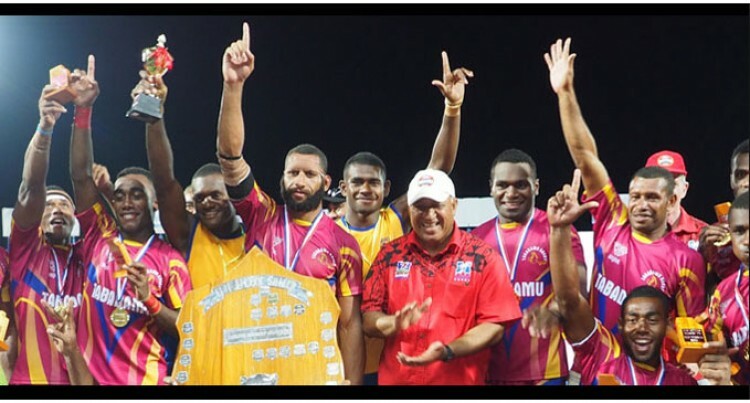 The competition is set for April 17-18 at Prince Charles Park in Nadi.